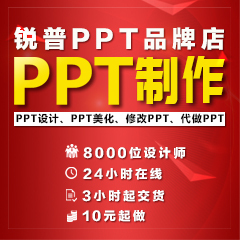 《她说》般若黑洞推荐网址 - 乱乱吧 - 锐普PPT论坛 - Powered by Discuz! stock.xchng stock photography community - browse our huge gallery for high quality stock photos or share yours with others. Icon Search Engine | Iconfinder Search through more than 150.000 free icons in an easy and efficient way. Idée Labs Images - Microsoft Office Free clip art, photos, illustrations, animation, and sounds for Microsoft Office products Stockphoto.com Browse the best stock library of royalty free content at prices anyone can afford. Welcome to MyFonts, the #1 place to download great fonts for print and the web: classics (Helvetica, Gill Sans, Garamond) alongside hot new fonts (Gabriel Sans™, Pepita Script, Supria Sans™). Before & After magazine Before & After is dedicated to making graphic design understandable, useful and even fun for everyone. InstantShift InstantShift is leading design and inspiration related community for web designers and developers daily resources and premium web design and development platform. iShift is the light chronicle moments of knowledge about design sphere, created as world moving forward, Daily Resource for Web Designers and Developers. Smashing Magazine Smashing Magazine is focused on design and web-development. We deliver useful information, latest trends and techniques, useful ideas, innovative approaches and tools. Web Design Blog - Webdesigner Depot Web Design Resources for Web Designers. We include Photoshop Tutorials, WordPress Plugins, and Web Development tools. Download free icons, Photoshop brushes and tools for web and graphic designers. GMT+8, 2019-4-22 22:07 , Processed in 0.108684 second(s), 48 queries , Memcache On.